At Southern Landscape Supply, we offer premium organic planting soils and landscaping materials for your home and business. We’re proud of our carefully selected materials that we offer you, so you get the best quality for your landscaping needs. Why do we offer organic products? If you’re wondering why it’s important that we chose organic products for our customers, let us tell you why. Organic soil is different than non-organic soil. Non-organic soils contain manufactured materials and lack nutrients. 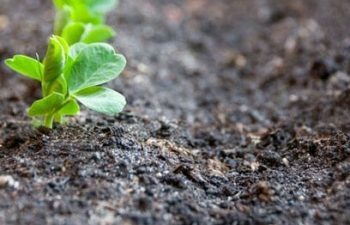 Organic soils contain a variety of materials (such as decaying plants, microorganisms, worms, etc.) that are carbon based and either living or once-living. It is a variety of materials that have been deposited over a period of time. Organic soil is good for the environment. It improves soil drainage and it breaks up easily for ease in planting. When you have healthy soil is develops a mycelial layer that detoxifies the land from pesticides and harmful chemicals. Research has also found that organic soils naturally protect themselves from pests. The decomposing organic matter in organic soils deters pest infestations naturally. Furthermore, crops and plants grown in organic soils contain higher levels of minerals, nutrients and antioxidants. If you’re looking to add landscaping to an area around your home or business, contact Southern Landscape Supply. We will screen, clean and amend our native Georgia soils into healthy, organic planting mixes that are good for you and the environment. We will create the ideal environment for your Georgia landscaping needs. Call us today!